Nintendo have had publlished a new patent today with the United States Patent and Trademark Office. 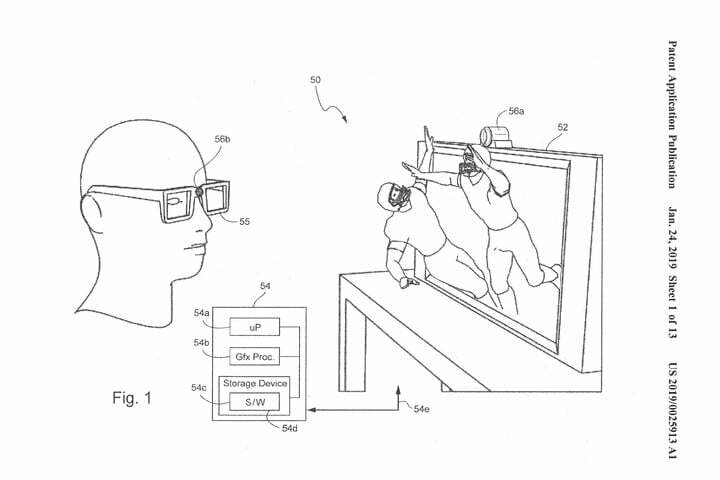 The Patent is for “Eye Tracking Enabled 3D Viewing” which was filed sometime back in September 2018. It is for a device that can supposedly see where the users is looking, so that it can provide the most optimal 3D viewing angle. – To better improve the tracking capabilities of the camera, viewers can wear a special marker on their head for the device to track. – The sketches provided in the patent show a tiny marker is placed on the user’s glasses. Judging on the size of the marker, it shouldn’t impede the user’s vision. Whether Nintendo will actually do anything with this patent is unknown. Nintendo have made a number of patents in the past to protect ideas that they have come up with but not necessarily to use themselves.